Today on this Memorial Day I would like to state that like that well known Lee Greenwood song I am proud to be an American! I am extremely thankful for all of the men and women who were willing to give up their lives so that I could live in a free country. Thank you! I think that it is vitally important that our students know why we had today off from school and that's not just for a BBQ. This is why I plan to talk with my students about Memorial Day tomorrow and I would also like to share some free printable resources that I plan on using with my students. Memorial Day Vocabulary Jumbles, Poem Starters, etc. I can't believe how long it has taken me to post this but our FCAT scores came in on Thursday. I am so proud and impressed with how well my students did!!! For those of you not living in Florida "they" increased the difficulty of the test last year and then increased the cut scores (half way through the year) this year. I could go on and on about that but that will dampen my mood so anyway . . . we were all a little anxious (to say the least) to get the scores back. When I saw the list I was happy delighted overjoyed elated or maybe all four! Eighty percent of my students scored at a level 3, which is proficient, or above in both reading and in math!!! Remember this is a relatively new test, new expectations, my second year teaching 3rd grade reading and my first year teaching 3rd grade math and I am an inclusion teacher this year. I have to give credit where credit is due my students are very hard workers, actually that doesn't even begin to describe them and I am extremely blessed to have been able to be the person that guided them through their learning this year. For those of you still awaiting the results of your students' test scores I hope that the results reflect both you and your students hard work this year! Today we tackled double digit multiplication in math. Can I tell you something funny? My kids did really well and said that it was easier then "regular" multiplication. Not sure that I agree with that one but I am glad that they could see that just because the problems got bigger that didn't really make them harder (as long as they had the foundation). This is the one thing that I want to make sure that I impress upon my students. If you are ALWAYS listening, watching, and trying you can accomplish almost any task set before you. My students and I recently completed our first SSYRA book for next year and I wanted to give it a little plug in case you might be looking for a great new addition for your classroom library and/or a cute story for a read aloud. 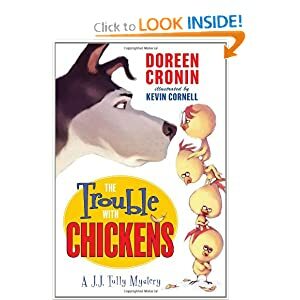 So the author is Doreen Cronin and this chapter book is as funny and amusing as some of her other well known books like Click Clack Moo Cows that Type. The chapters are brief and include come pictures which is great for students that are transitioning into chapter books because only some visualization is required. There are some good vocabulary words and a lot of humor! Without giving away too much the story is about a dog named JJ Tully who is a retired search and rescue dog and has come to live at Barb's house and finds himself getting pulled out of retirement to help his neighbors solve a mysterious disappearance. My students and I really loved this book and I would highly recommend it!!! Oh and I almost forgot to mention I think that there is going to be a series of the JJ Tully mystery books (because there is at least a second book), which in my opinion makes it an even better book! My question out there for you in blog-land is do you recommend any space related read alouds? I know that I want to read as many of the S.S.Y.R.A. books to my class as possible but I would also like to embrace the school's theme. I have a short biography on Mae Jemison and a couple of nonfiction space books but I'm looking for a "Hey, you really gotta read this to your class!" kind of book so if you know of one please do share the title (and author if you know it) and I will be so thankful!!! Thanks so much in advance for your suggestions and Happy Saturday!!! All you have to do is go to http://www.scholastic.com/summer/ register your class and then your students can log their summer reading and have an opportunity to earn prizes. While we teachers know that the ultimate prize is reading and the adventure, mysteries, knowledge, etc. . . that accompanies it. But for those kiddos that might need a little more motivation this is where the tangible prizes come into play. 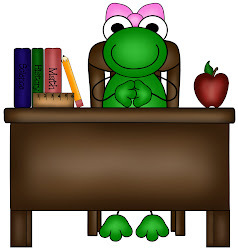 According to the Scholastic website in Summer 2011, students around the world logged 64,213,141 reading minutes. This year let's see if we can top that!!! NEW S.S.Y.R.A. book list is here!!! !